The LVS-9585 handheld barcode verifier adds advanced lighting options and powerful software functionality. The new auto-find feature enables users to automatically find the DPM symbol within the verifier field of view, and cycle through the lighting settings to find the lighting type that works best with the specific DPM marking and material substrate. The LVS-9585 can test both DPM parts as well as printed labels to a broad variety of global application standards, and provides comprehensive quality analysis and reporting features. Verification. 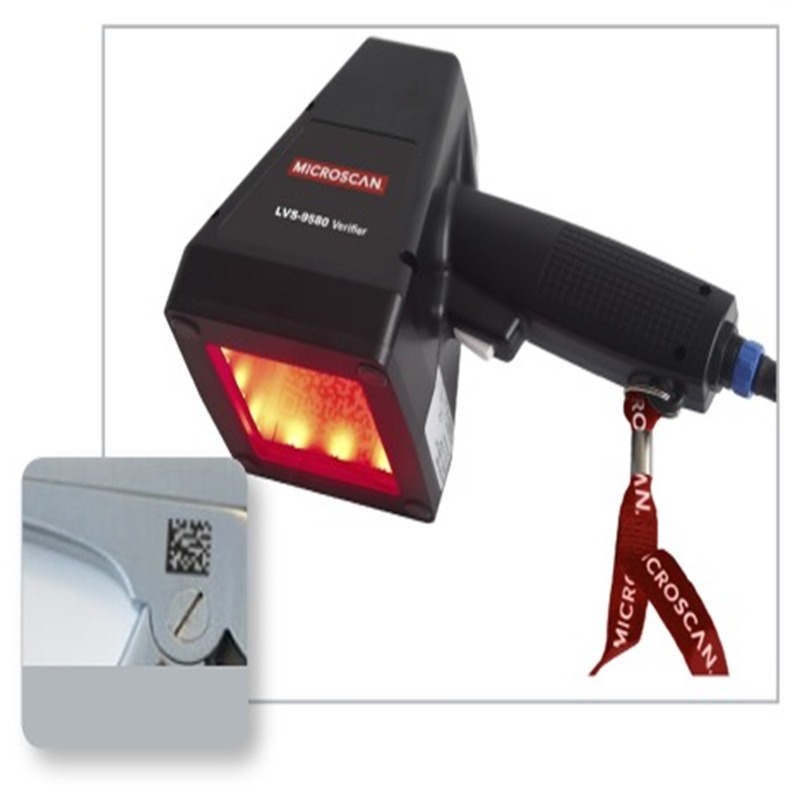 Verify a broad variety of direct part marks as well as 1D and 2D printed barcodes with a single model. Software automatically selects best lighting performance from integrated red or white dome and 30° angle lighting. Complies with ISO/IEC 14526 requirements for barcode verifiers. Validation. Validates printed barcodes to ISO/IEC, ANSI, GS1, and UDI print quality standards. Validates direct part marks (DPM) data structure against MIL-STD-130N, and GS1 standards. Software options include Multi-Sector for verification of multiple barcodes and GS1 AI content check. 21 CFR Part 11 compliant-ready. Supports 15 languages with the ability to add more. Export verification reports to Excel or SQL database. Includes NIST-Traceable Calibrated Conformance Standard Test Card for calibrating the system. Advance reporting with verification data export via SQL database interface. Optional adjustable mounting stand 98-9000125-01. I understand that the controller of my personal data is AIS Ltd with its registered office in Unit 48 Canal Walk, Park West Industrial Park, Nangor Road, Dublin D12 XF62. I understand that my personal data shall be processed and transmitted in accordance with the General Data Protection Regulation (GDPR). I understand that this consent may be revoked by sending an email to info@aisltd.ie.